October 29, 2016 6 Comments This post may contain affiliate links. What to get the person who has everything? That is always the toughest gift giving question around! Especially when it comes to finding gifts for guys. 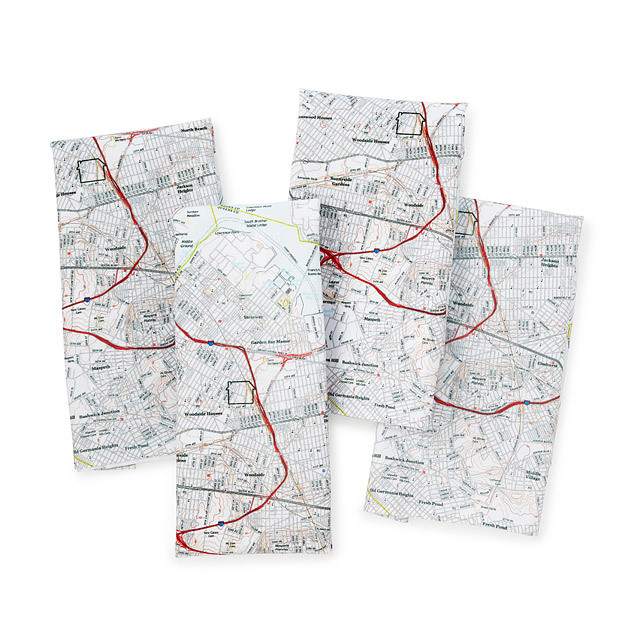 The reason I chose to focus on maps as a gift idea is because they relate to EVERYONE in some way, shape or form. Maps tell us where we’ve been and where we want to go. Much like a smell or song, a location can bring you right back to a place in time. A map is a visual marker of life’s events. Honeymoons, family vacations, work travels, where you came from, dream destinations and HOME. Personalized gifts are so special to receive and many of the items on this list are uber personal! 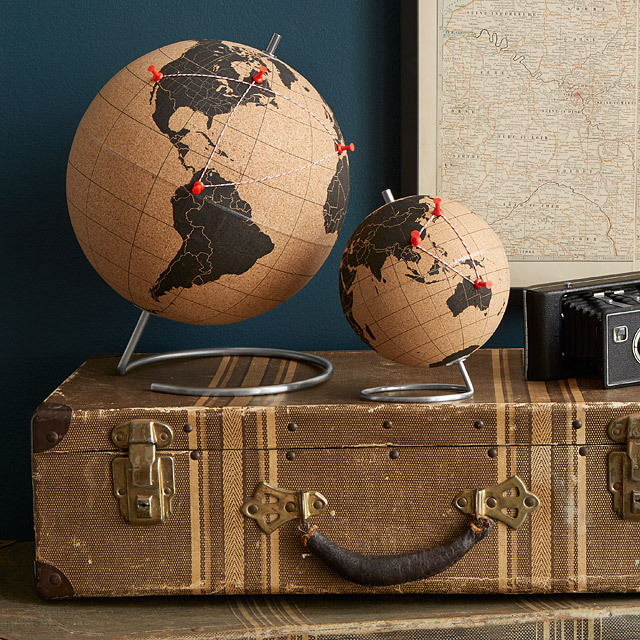 A big thanks to Uncommon Goods for sponsoring this map gift guide. They are a super cool company with unique products, many of which are made by hand from talented artists here in the US. 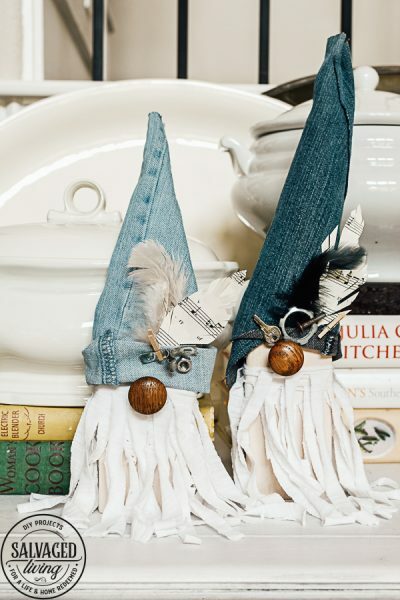 About 1/3 of their creative products are from recycled goods…you know I love a good upcycle! 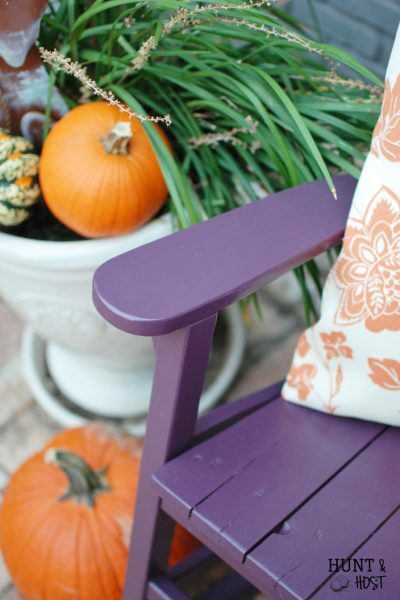 When you shop with Uncommon Goods they give $1 of your purchase to a non-profit organization! It’s a gift that keeps on giving. They have a variety of price ranges available from small Christmas trinkets to big ticket items and of course they have way more than just map stuff. Scratch Off Map – My husband travels for work and we keep a map pinned with all the places he goes, but I know this map would be way more fun for the whole family…my kids would LOVE to scratch this giant lotto ticket kind of map! Mapkins – No that’s not a type-O. Map-kins, how cute is that? You can pick the coordinates…where you met, where you live, where an adopted baby is from…endless personal meaning can stand behind this beautiful gift! 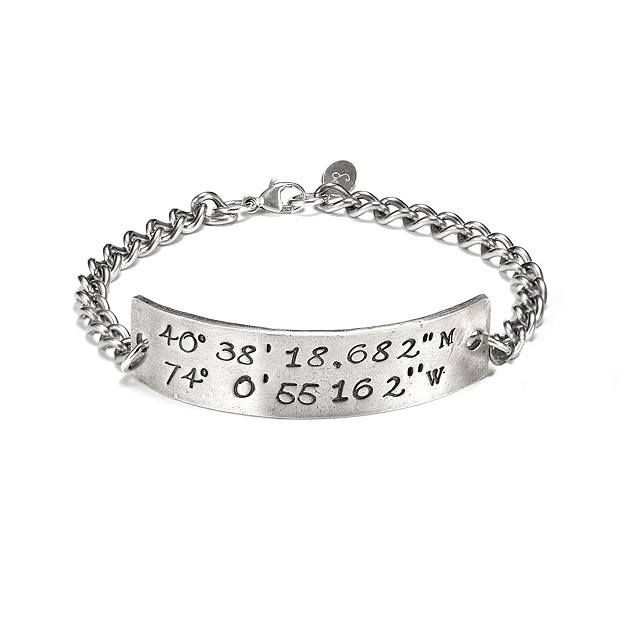 Latitude and longitude bracelet – What woman wouldn’t love a nod to her favorite spot, hometown or maybe even her alma matter? Again, 100% personal, unique and stunning! Heart Map – This gift is so personal and so gorgeous! You can pick from a bright or vintage map color theme. Perfect gift for a new family or old marriage! 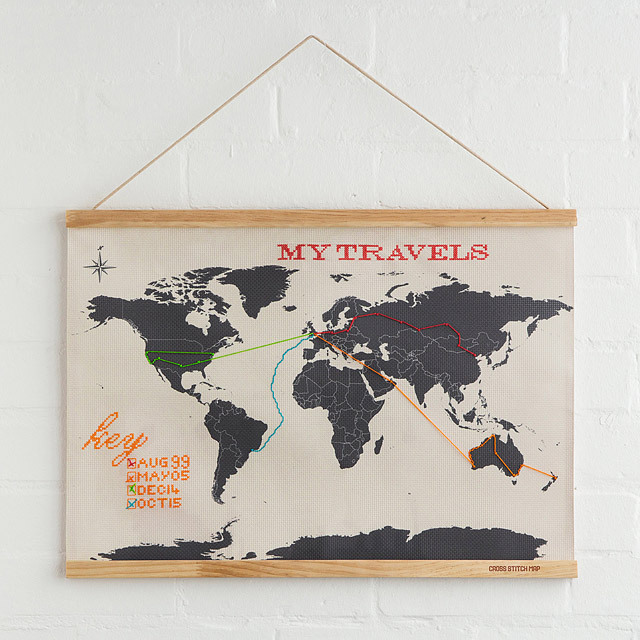 Cross Stitch Wall Map – Personalize this gift yourself or give it to the crafty person in your life. Mark out the moves you’ve made, where the kids are now or map out the globe trotting vacation you’ve always dreamed of! I Love you 50 Ways Map – Does some one on your list love languages and you love them? Tell them 50 different ways. 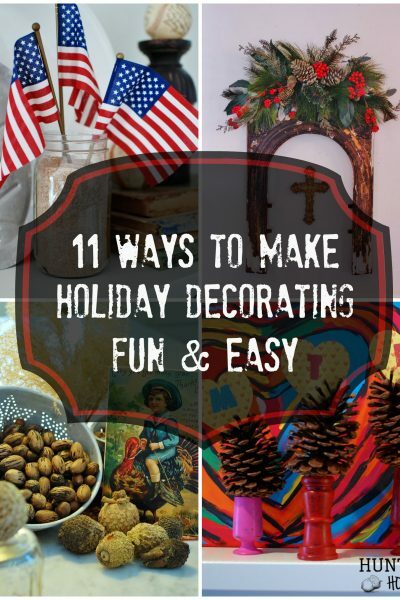 Great for adults, kids or the whole family, nice art with a special message! Cork Globe – Globes are all the rage in decorating right now and this would be cool in a man’s office or a trendy living room. 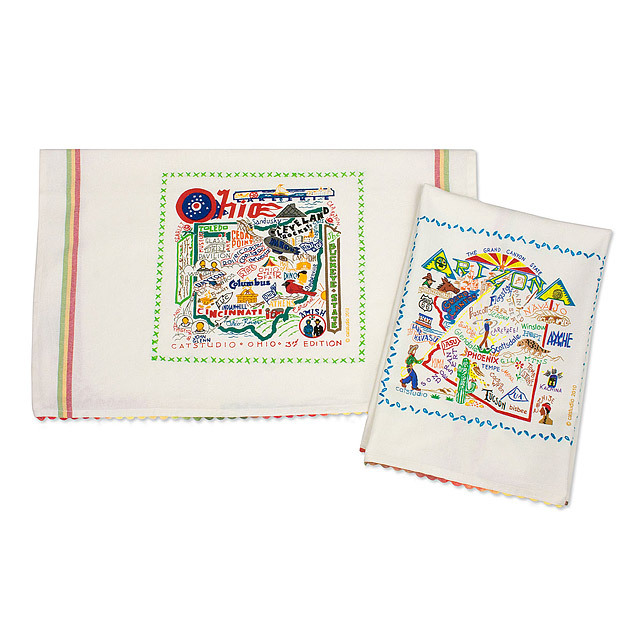 State Dish Towel – Not a map but still a location reference. 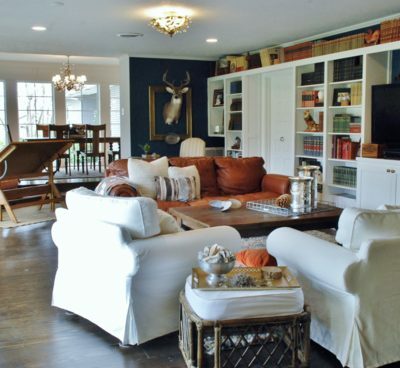 Perfect for the person who longs for their home state or dreams of moving to another. I know down here we are Texas proud and this would look adorable in my kitchen! Previous Post: « What Happened to Your Joy? I love maps. They are a perfect gift. 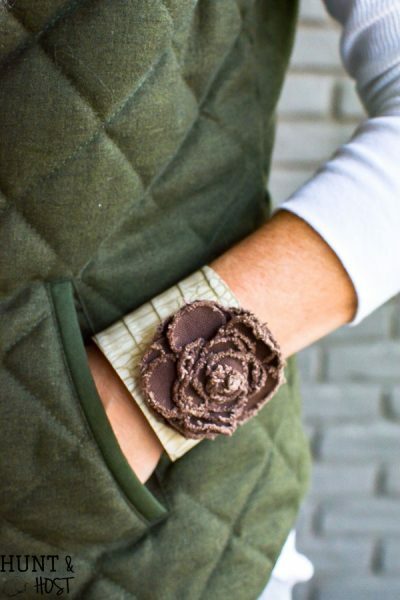 The bracelet was my favorite. I don’t have one of those yet! Hint Hint to my husband! Great idea and I do need some, thanks. Thanks Marlene, hope the next few weeks bring you some good gift ideas! So many fabulous finds!!! The mapkins just might have been my favorite!! !